The writer Guido Menasci, who is best known as a co-author of the libretto for composer Pietro Mascagni’s successful opera Cavalleria rusticana but was also a respected historian, was born on this day in 1867 in the Tuscan port of Livorno. Menasci, a law graduate from the University of Pisa and briefly a prosecutor at the Court of Appeal in Lucca, wrote for a number of literary magazines in Italy and beyond and produced a biography of the German poet and playwright Johann Wolfgang Goethe that is considered a definitive work. Fluent in French as well as Italian, he published books and gave lectures in Paris, often on the subject of art history, which was another of his fascinations. Yet he was most famous for his work with Mascagni and his fellow librettist, Giovanni Targioni-Tozzetti, whom he met through his involvement with literary and cultural societies in Livorno, where all three grew up. They collaborated on a number of operas, the most famous of which by some way was Cavalleria rusticana, which was performed for the first time in 1890, at the Teatro Costanzi in Rome. Based on a novella of the same name by Giovanni Verga, Cavalleria Rusticana is a simple story of betrayal and revenge involving two men and two women in a Sicilian village. Its success turned Mascagni, a modest music teacher, into a composer of international fame, not least for the beautiful intermezzo that has become a popular piece standing alone from the opera. Menasci inherited his gift for writing from his father, who was a shopkeeper but also a published author of a number of books of verse and was a councillor in Livorno involved with education. He began to write poetry at the same time as he was studying law, amusing his fellow students by composing summaries of lectures in verse. Soon, his poetry was appearing regularly in the pages of publications such as Lettere e arti, a well-known Bolognese magazine founded by Enrico Panzacchi, others in Italy and in foreign periodicals such as the French daily Le Siècle , the Austrians Neue Freie Presse and Neue Wiener Tagblatt, and the English monthly The English Illustrated Magazine. His collaboration with Targioni-Tozzetti, whose father, Ottaviano, had taught him literary studies at high school, began in 1899 and included the libretti for several other operas in addition to Cavalleria rusticana, including I Rantzau and Zanetto, also by Mascagni, and Umberto Giordano’s Regina Diaz. 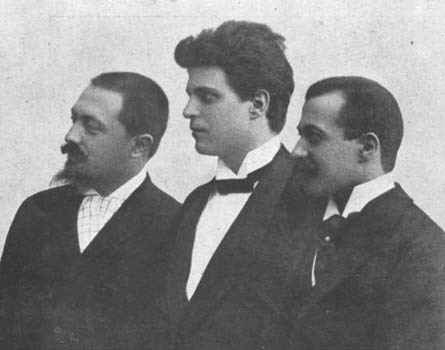 He and Targioni-Tozzetti also edited an Italian version of Werther by Jules Massenet. At the same time, Menasci was working independently for other composers, such as the Germans August Scharrer and Ignaz Brüll. During a lengthy stay in Germany he compiled his biographical study of Goethe (1899), which was considered remarkable even among the many works dedicated to the German poet. Menasci devoted much time to the study of other German writers and to figures in French literary and civil history. He wrote elegantly in French and was able to address conferences and deliver lectures in Paris with full confidence in his command of the language. His versatility extended to writing stories for children and numerous studies devoted to the history of art. In his later years, he returned to Livorno and became a professor at the prestigious Naval Academy. He died in Livorno in 1925 after a period of declining health. 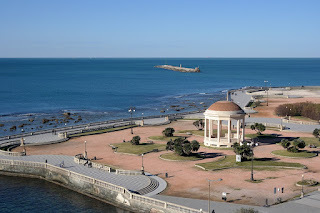 The port of Livorno is the second largest city in Tuscany after Florence, with a population of almost 160,000. Although it is a large commercial port with much related industry, it has many attractions, including an elegant sea front – the Terrazza Mascagni - an historic centre – the Venetian quarter – with canals, and a tradition of serving excellent seafood. 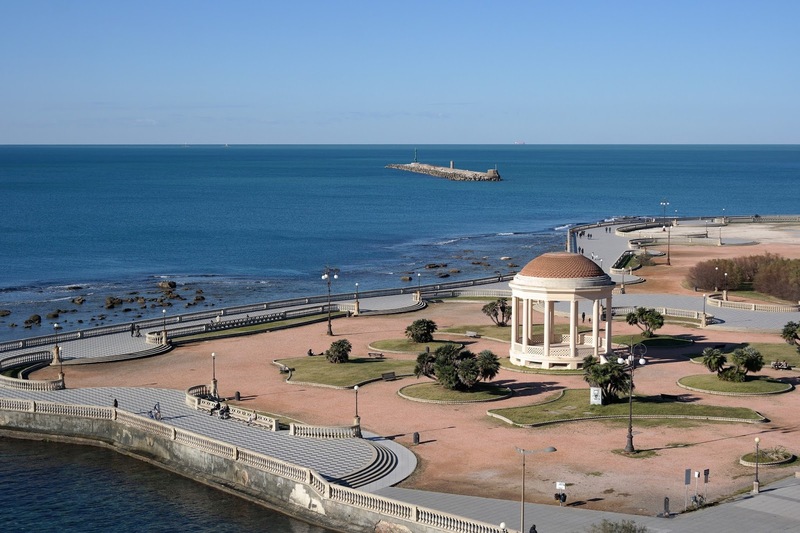 The Terrazza Mascagni is named after the composer Pietro Mascagni, who was born in Livorno. Menasci is commemorated rather less grandly in the name of a fairly nondescript street in a residential area close to the city’s main railway station. Known today as the Teatro dell'Opera di Roma - Rome’s main opera house - the Teatro Costanzi was built in 1879-80. Financed by Domenico Costanzi, a contractor, it was designed by the Milanese architect Achille Sfondrini, a specialist in the building and renovation of theatres. Built on the site of the house of the Roman emperor Elagabalus, the theatre was inaugurated in November 1880 with a performance of Semiramide by Gioachino Rossini. Sfondrini paid particular attention to the acoustics of the theatre, the dome of which was adorned with frescoes by Annibale Brugnoli. 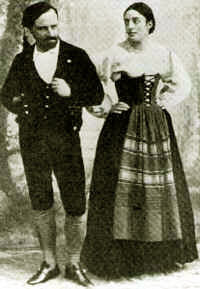 As well as the world premiere of Cavalleria rusticana, the theatre staged the first production of Tosca by Giacomo Puccini in January 1900 and introduced Roman audiences to Puccini’s La fanciulla del West, Turandot and Il trittico, Richard Wagner’s Parsifal and Modest Mussorgsky’s Boris Godunov among other compositions that would become famous.